Labour law in Brazil is based on the Constitution of the Federative Republic (the Constitution). Inspired by the European social welfare state, the Chapter focusing on social rights is included in Title II: Fundamental Rights and Guarantees, alongside public freedoms and political rights. This Chapter has a special focus on the right to work (i.e., the elevation of labour as a fundamental value of society, as the basis of social justice and human dignity); the protection of workers and their dignity, including a detailed list of basic labour and social security rights (Article 7); and public warranties regarding collective representation and trade associations (Articles 8 and 9). Based on these constitutional provisions and on the prominence attributed to the value of labour, a very complex system has developed regarding labour relations, including: (1) a labour law regime of significant proportions and reach, which addresses in detail individual and collective labour relationships, and which is constituted by the Consolidated Labour Laws (or CLT – a type of labour code, published in 1943), by several laws and by technical standards set by the public authorities, primarily in relation to occupational health, hygiene and safety; (2) labour oversight bodies and inspectorates, such as the Ministry of Labour and the Labour Public Prosecutor's Office; and (3) the labour courts, a dedicated arm of the judicial branch, specialising in both individual and collective labour relationships. The labour courts consist of the Superior Labour Court (TST), which is in charge of standardising the application of law in labour matters; 24 regional labour courts, virtually one per state; and the labour judges, who work in labour courts throughout the entire national territory. This is the busiest branch of the judicial system in Brazil. The thirteenth issue of the annual statistical report by the National Council of Justice2 lists the following as the most popular matters in the cases filed at the labour courts: (1) issues relating to the termination of an employment contract and severance pay; (2) employers' civil liability, notably indemnification by way of moral damages; (3) issues associated with the composition of remuneration, wage differences, indemnification payments and benefits; and (4) unemployment insurance. In addition to the bodies that form the labour courts, labour law matters may also be dealt with by the Supreme Federal Court (STF). The STF is Brazil's constitutional court and is vested with the power to interpret the provisions of the Constitution in relation to any matter, whether it is to provide a final decision in a case or regarding a point of law. The year 2017 was particularly important for labour relationships in Brazil. The serious economic crisis – with high unemployment rates and permanent loss of jobs because of the failure of industry to compete effectively and contribute to the national economy – required a prompt response. It was necessary to reverse this process and create new jobs. In response to the pressure of this grave situation, the central government proposed a series of laws to introduce significant changes to the labour law then in effect. Law No. 13,429, which was enacted on 31 March 2017, eliminated the legislative vacuum on outsourcing. This matter, which had been governed for decades on the basis of precedents drawn from case law of the TST, required legislative action that could, once and for all, clarify the legality of hiring contractors, establish the limits and conditions of this type of contract and define the liabilities of those involved, particularly the hiring company. Notably, once the Law was enacted, the Attorney General's Office – a division of the Public Prosecutor's Office – filed a direct claim of unconstitutionality with the STF. Law No. 13,467/2017 (the Labour Reform), which was enacted on 13 July 2017, introduced hundreds of amendments to the CLT. More recently, Provisional Measure No. 808, issued on 14 November 2017, has already amended provisions of the Labour Reform that were either unwanted or required clarification. During the course of 2017, Brazilian labour law underwent broad and significant changes, and these are giving both law practitioners and parties in labour relationships sleepless nights, primarily because of the degree of uncertainty the changes have introduced. Any legislative change of this magnitude brings legal insecurity, especially when it concerns such a sensitive and prominent matter as labour relations. Discussions on the validity of the new provisions (their compliance with the Constitution), on the application of the new rules over time, on the effects of these changes in relation to existing situations, on the existence or absence of acquired rights or a perfect legal act to determine the applicability of rules, etc., are always expected. However, in the case of the new Brazilian laws, the difficulties inherent in any legislative amendments are compounded by many others because of the lack of conceptual rigour in tackling this reform. The fact is that no clear, coherent project for the adoption of a new labour law model is discernible from the various changes. It is, in effect, an inharmonious set of case-by-case changes to the previous legislation, and especially to some uniform jurisprudential positions adopted by the TST, which were considered excessively protective (in fact, one of the provisions attempts to set limits on any legal standard-setting activity by the labour courts, prohibiting them from 'creating obligations not set out in law', whatever that means). Once again, Brazil has missed an opportunity to discuss as deeply as necessary the labour law model that would be most appropriate, wasting the chance of ensuring at least unity and coherence in the set of standards that comprise Brazilian labour law, which for decades has been characterised by the overlapping of legislative texts, which only gain force after years of conflict over their interpretation in the courts. The new laws do not make the lives of entrepreneurs, employees or law practitioners any easier; years of uncertainty and instability in labour relationships are expected to result, and a potential increase in the amount of litigation cannot be ruled out. The legal landscape is unpredictable and anything that may be said now will be temporary and subject to questioning and review. Of all the changes brought by the Labour Reform, the emphasis given to individual or collective bargaining deserves special focus. An advance was made in the sense of allowing the parties, whether directly or through their trade associations, to establish remuneration and working conditions. Brazilian labour law, which was institutionalised and consolidated in the 1930s and 1940s, is based on fascist and corporate doctrines in force at that time. Soviet communism was inadmissible and had to be avoided at all costs, but liberal democracy was not welcome either. To Getúlio Vargas (the autocratic president at the time) and his collaborators, providing freedom to private persons to determine and defend their own interests would only generate social upheaval and cause private interests to prevail over public interests. A strong federal government was required to counterbalance the demands of private individuals and harmonise their activities for a 'greater good'. Thus the role of the federal government was to suppress the freedom of private parties and direct their behaviour, so that they could contribute to the nation's prosperity. To advance these ideas, the federal government intervened in labour relationships on a massive scale. To prevent the consolidation of free syndicalism in Brazil, the government repressed the workers' movement that was spontaneously arising in São Paulo and Rio de Janeiro. It suppressed the freedom to strike and created state structures – the Ministry of Labour and Industry and the labour courts – to keep the means to resolve individual and collective labour conflicts within the scope of the federal government. The government, through intensive legislative activity, also sought to comprehensively regulate individual labour relationships, restricting as much as possible the space for negotiations between employees and employers and the entities representing them. Because of this brutal state intervention in labour relationships, Brazilian labour law gained peculiar facets, different from those in countries with a democratic tradition. Instead of limiting the establishment of minimum mandatory working conditions (minimum working age, establishment of a minimum wage, limits to working hours, establishment of health and hygiene standards in the workplace and protection against accidents), the law regulated individual labour relationships exhaustively, to such a level of circumstantial detail and formal specification regarding the particularities of certain types of work that it denied employers and employees, considered individually, the possibility of contractually establishing working conditions. From the standpoint of collective labour relationships, state intervention was even deeper. The idea of trade union freedom was simply disregarded. Unions were no longer those spontaneous workers' associations, constituted according to what seemed to be most appropriate to safeguard their interests. They became semi-public entities with little or no autonomy whatsoever. Their existence was conditional upon them being controlled by the public authorities, which rather than take into account the unions' relevance for the groups being represented were concerned instead with the fulfilment of formal requirements provided for in law (trade union classification and union solidarity). The unions' power of representation was a result not of recognition by the workers of their importance in defending the workers' interests but of state warrant. The funding of their activities came from taxes, the 'union contribution', which all employees were obliged to pay, including those who were not members of the entity. Collective negotiations were limited to what was not set out in law and did not contradict it. Strikes were considered to be antisocial conduct, contrary to the interests of national production, and the judicial branch was in charge of the compulsory arbitration of collective conflicts within the scope of an action referred to as 'collective bargaining'. With rare and laudable exceptions, unions – isolated by the federal government and with no need to obtain their legitimacy from the groups of workers – became artificial structures that were more concerned about issues regarding the entity itself than about the interests of the workers they supposedly represented. Finally, a Labour Law was established, providing basic legal regulation of employment relations. The Labour Law had to be observed blindly and unquestioningly, without thought of any adaptation to the conditions and circumstances of each legal instance or to the peculiarities of each relationship. This Labour Law, which was of a general, abstract and impersonal nature, was imposed uniformly, allowing for little in the way of alternatives to provide distinct treatment to labourers and managers, trade and industry workers, workers with different levels of education or collaborators in small businesses and large corporations, etc. There was only one employment contract for the entire universe of workers in Brazil; this supposed that all workers, regardless of the peculiarities inherent in their work and position, were in a disadvantageous position and unable to challenge the interests of their employers. As regards the concept of negotiated agreements providing a basis for law (whether employment contracts or collective bargaining agreements), these were given a secondary role that tended to irrelevance. Even worse than this, they were seen with scepticism and it was supposed that all negotiations, unless clearly favourable to workers, consisted of a stratagem by employers to avoid the labour commitments provided for in law. it recognised the right to strike (Article 9, main paragraph). However, the transition to a labour law that is typical of democracies (i.e., based on negotiations between employers, employees and their respective trade associations) was not completed at that time. Legislation remained a crucial source of labour law. Although collective conventions and bargaining agreements gained relevance, they were still regarded with scepticism and the courts were granted the power to decide whether to validate clauses that contradicted legal provisions or attempted to eliminate their application. Although now autonomous, trade unions continued to seek a legal foundation for their power of representation and to have their activities funded from a tax source. Negotiations between employers and employees, at an individual level, were still not even mentioned, except for provisions that were clearly favourable to employees (i.e., those adding to advantages provided in law) with very rare exceptions. This was the situation at the time of the publication of the recent new laws, especially the Labour Reform. Among the several articles of law dealing with circumstantial issues, which, as mentioned above, limit the prospects for the establishment of a clear unified labour law project, some provide encouragement about the possibility of the definition of working conditions by the actual parties and their trade unions, without the intervention of the federal government. By amending the text of Article 8 of the CLT, the Labour Reform determines that 'during review of the collective labour conventions and collective bargaining agreements, the labour court will exclusively analyse compliance with the crucial elements of the juristic act . . . and will base its activity on the principle of minimum intervention in the autonomy of the collective will'. [C]ollective labour conventions and collective bargaining agreements prevail over the law, when providing for the following, among other things: I – agreement regarding work shifts; II – yearly time bank; III – breaks during shifts, within the minimum limit of 30 minutes for shifts of over six hours; . . .V – job plan, wages and functions compatible with the employee's personal condition, as well as identification of trust positions; VI – corporate regulation; . . .VIII – telework, on-call system and intermittent work; IX – remuneration according to productivity, including tips received by the employee and remuneration according to individual performance; X – work shift registration system; XI – bank holiday transfer; XII – hazard degree classification; XIII – extension of work shift in unhealthy environments, without prior licensing from the relevant Ministry of Labour authorities; XIV – incentive award in goods or services, eventually granted in incentive programmes; XV – profit sharing. Also introduced by the Labour Reform, Article 477-B of the CLT creates the possibility of full discharge of the employment contract, provided that it is expressly set out in a collective labour convention or collective bargaining agreement that introduces a 'voluntary dismissal plan'. At first, this provision seems misplaced in the discussion on the prevalence of negotiated rights over legal provisions; however, one cannot underestimate its importance. The inclusion of the provision in the CLT is a symbolic stand by the legislative branch, favouring the prevalence of collective labour conventions and collective bargaining agreements. In contrast to the consolidated case law of the TST, the STF considered such a broad settlement possible and did so based on a broad interpretation of Article 7, Item XXVI of the Constitution, which sets out 'acknowledgment of the collective labour conventions and collective bargaining agreements'. The validity of the general discharge of the employment contract based on collective labour conventions or bargaining agreements is a historical milestone and represents a paradigm shift. Article 134 allows the division of holidays into three blocks (previously forbidden). The Labour Reform also mitigates the presupposition of financial disadvantage. It establishes that workers with a higher level of education and who earn higher wages4 do not need such overt legal protection and may enjoy greater freedom to negotiate, and to establish practically all their working conditions directly with their employer. The Article 444 Labour Reform amendment to the CLT sets out this freedom to negotiate, attributing validity to contracts that the employees may enter into with their employers, even if they address matters specific to collective negotiation. This provision makes express reference to Article 611-A (see above), allowing that those employees with a higher educational degree and higher wages discuss the matters already listed directly with their employers, without the need for intervention by the union. Also in relation to such employees, Article 507-A of the CLT introduced by the Labour Reform highlights the circumvention of the judicial branch in labour matters, as it admits the possibility of conflicts between such employees and their employers being submitted to private arbitration as an alternative to a judicial solution. The emphasis on negotiated agreements as sources of law and a basis for resolution of conflicts is certainly what is most important in the Labour Reform. It proposes a paradigm shift, establishing in law the definition of what is basic and non-negotiable (i.e., what constitutes the ethical boundaries of labour exploitation); the foundational negotiated agreements, on an individual or collective level; and the definition of the other labour conditions, with power to overrule any legal provisions on the same matters. In this respect, the Labour Reform is on the right path, creating conditions for employment relationships to be flexible and adaptable to new situations and circumstances, notably in times of crisis. There remain other steps to be taken for this shift to be complete and for Brazil finally to have a labour law system that is compatible with the democracy it intends to be. It is especially necessary that the union structure be reviewed and a system of full union freedom be adopted. It is not enough to encourage collective negotiation and privilege negotiated rules over those made into laws if the unions – the entities responsible for such negotiations and collective contracts – do not truly represent the workers and remain insensitive and distant from their concerns and interests. Unfortunately, this measure is not within sight. The union system, with the defects stemming from its corporate origins still in place, is set out in the Constitution. Any change will require an extremely qualified quorum, and at present that degree of consensus does not exist. To the maximum extent possible, the Labour Reform has attempted to advance the emancipation of the unions. Articles 545, 578, 579, 582, 583, 587 and 602 of the CLT, in wording provided by the Labour Reform, allow for an optional union contribution, instead of the previous obligatory contribution. This change – the only one that did not require a constitutional amendment – is welcome, but ideally it would be accompanied by many other measures that would bring coherence to the union system. Intense discussion is expected regarding the amendments set out in the Labour Reform, both with respect to their validity and conformity with the Constitution and with regard to the meaning that should be given to them to guarantee the uniformity of the system. The discussions have already begun. The National Association of Labour Court Judges has published its view on the main aspects of the reform. The TST, on 30 November 2017, published notice of a consultation, stating that it will evaluate proposals for amendments to adapt TST precedents to the wording of the new legislation, and calling for entities representing the union movement, companies and attorneys to contribute to the debate. A dozen direct actions challenging the constitutionality of the reform – an instrument of concentrated constitutionality control – are in progress at the STF, requesting an abstract analysis of the conformity of legal texts with the Constitution. The various direct actions regarding unconstitutionality filed by the Attorney General's Office and by workers' federations and confederations (bodies that integrate the union system and link primary entities at regional and national levels) address the ending of obligatory union contributions and other matters addressed by the Labour Reform (e.g., intermittent work and a procedural matter relating to attorney's fees). As if the intense legal writing and case law debate were not enough, the legislative branch, which approved the Labour Reform, is divided and unable to take a clear position on the new legislation. This can be seen in the progress of Provisional Measure 808/2017, which makes a few adjustments to the original legal text of the Labour Reform, and is at risk of losing effectiveness if it is not voted on and approved by 15 May 2018. To date, the executive branch has proposed more than 900 amendments to the text of Provisional Measure 808/2017, which clearly demonstrates the lack of consensus regarding the changes to the labour law. Given that the entire situation is quite volatile, it is still too early to say how these changes to Brazilian labour law will be received. The Labour Reform was possible because it was established through an ordinary law; however, this is an inappropriate type of legislation for amendments or revocations of constitutional provisions. The coming months (maybe years) will be characterised by intense discussion in legal, corporate and union circles about the provisions of the Labour Reform, its reach and appropriate meaning. It will take some time until the most controversial aspects of the case law of the STF and the TST are reconciled, especially as regards adapting to a culture in which collective negotiation is the main instrument for defining working conditions and resolving labour conflicts. The unions will need to reinvent and legitimate themselves to take part in effective negotiations to maintain job positions and good working conditions and to guarantee the material conditions necessary for their own livelihood. It is necessary to break the habit of looking to the law for answers to resolve deadlocks and labour conflicts. It is necessary to see negotiated agreements as the legal basis for and legitimate means of governing labour relationships. The Labour Reform, with all its defects, brings important advances, procedures and institutions that can contribute to the modernisation of labour relationships in an increasingly complex and competitive international situation and, especially, to the reduction of litigation in labour relationships. With respect to the sense of uncertainty, which will require maturity on the part of those concerned, caution certainly does not mean coming to a standstill, conformism or inertia. It is important that the innovations and concepts introduced by the Labour Reform are put into practice by business owners to ensure that labour relationships adapt to the demands of the economic moment, with the lowest social cost possible. 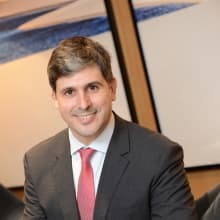 1 Rogério Podkolinski Pasqua is a partner at Pessoa Advogados. The information in this chapter was accurate as at February 2018. 2 National Council of Justice, Justice in Numbers 2017 (Base Year 2016) (www.cnj.jus.br/programas-e-acoes/pj-justica-em-numeros). 3 Article 611-B of the CLT as amended by the Labour Reform includes a list of the topics that cannot be the subject matter of collective bargaining, which, with only a few variations, coincides with the list of workers' fundamental rights, provided for in the federal Constitution; among these are unemployment insurance, minimum wage, night shift remuneration greater than that for day shifts, weekly paid day off, paid annual holidays, maternity leave, paternity leave, occupational health, hygiene and safety, and retirement. 4 Those who earn a salary equal to or greater than twice the highest social security benefits – approximately 11,000 reais. 5 Labour Reform amendment of Article 507-B of the CLT.